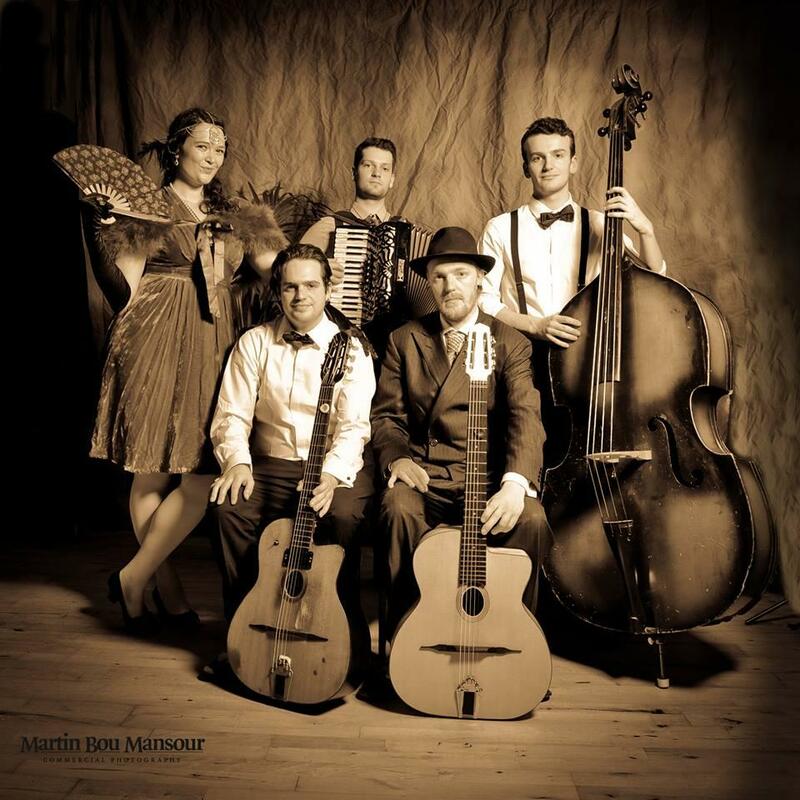 Formed by three brothers this young Gypsy Jazz & Swing Quartet play with passion and style. 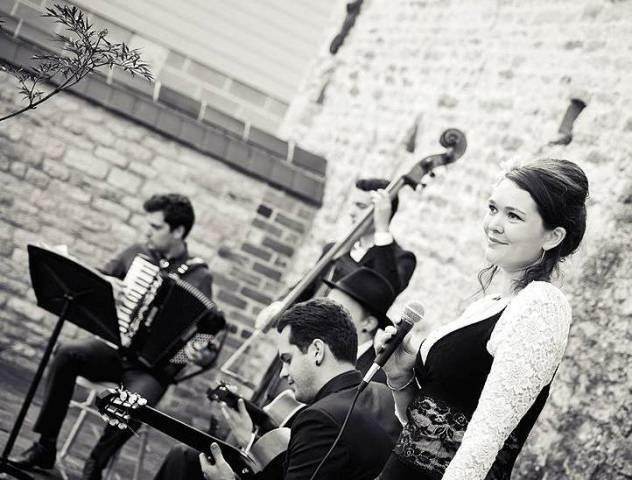 Playing Weddings and private parties across the UK the Gypsy Jazz & Swing band know how to swing! They perform music from the 1920s-50s with melodic Accordion/Piano, two Swinging Guitars, hot double bass and vintage style female & male vocals. 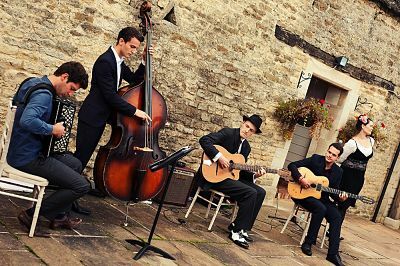 Vintage Café’s Gypsy Jazz & Swing Quartet is a perfect band for Weddings and parties as the main act or just as background music. 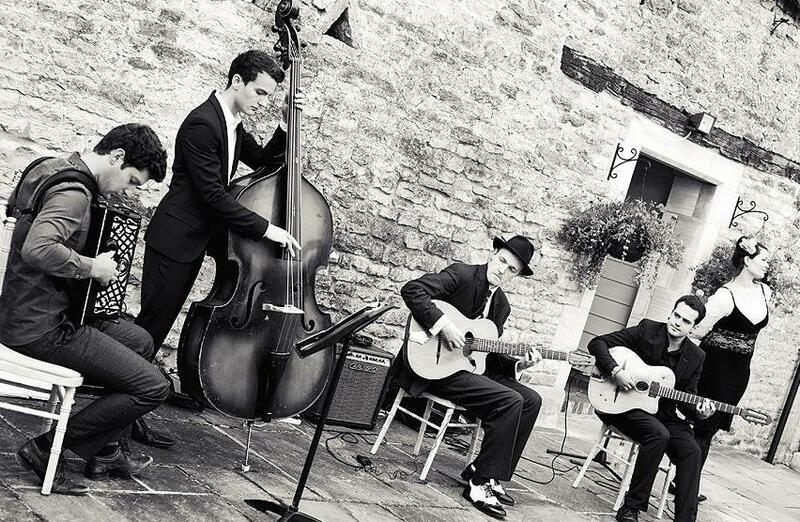 Moreover, this Gypsy Jazz & Swing Quartet, is great for vintage themed events and nostalgic shows! Your musicianship is so skillful and so many people complimented Natalia’s gorgeous voice. I love that you had everyone up and dancing and the music you chose set the perfect tone for the day. Wow, what an experience, they were even better than what we were hoping for. Before we knew it we had different dining tables dancing with other! We booked them in again straight away for an event we have coming up in Feb. Jazzy, upbeat and cool as hell. Keep it coming guys! Fantastic professional band the crowd loved them and the band are a pleasure to work with professionally too. The quintet played at our Christmas Market and they were fantastic! Brightened up our afternoon and got everyone smiling! A great mix of songs and the energy from all of them was great! Will definitely be booking them for future events! Brilliant guys, Thanks again!